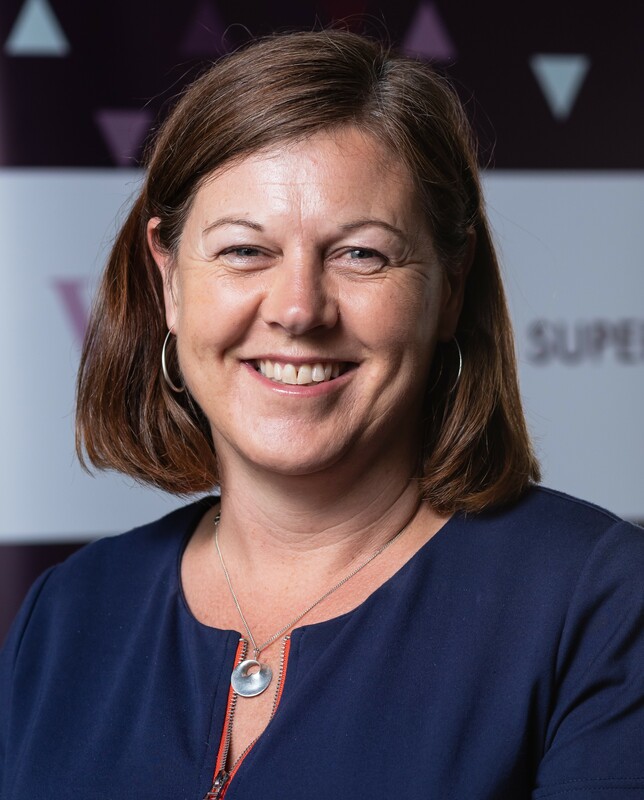 Cate Wood joined the Board of Women in Super in 2007 and was appointed Chair in 2011 following the retirement of Women in Super founder, Mavis Robertson. Cate re-established the Women in Super Canberra network and was the inaugural Chair of the Canberra Mother’s Day Classic Committee. Cate is an experienced Director and Executive. 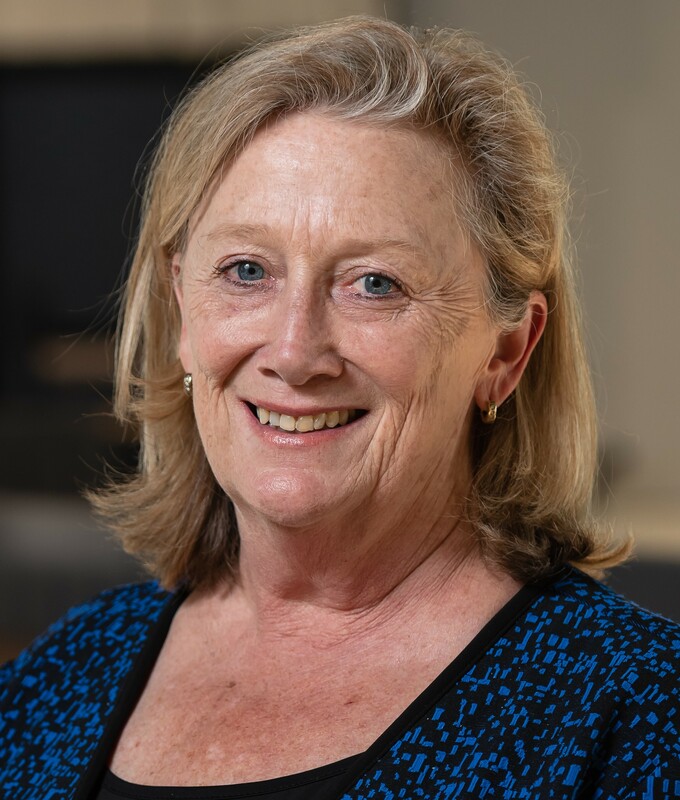 Cate has worked in the profit-to-member superannuation sector for over 20 years, is a past President of the Australian Institute of Superannuation Trustees (AIST) and recently completed a term as the Chair of CareSuper. She was recognised as the AIST 2017 Trustee of the Year. Cate was Assistant Secretary of the Australian Services Union, Victorian Branch, CEO of The Trade Union Training Authority and Executive Officer of AGESTSuper. Cate has worked to improve diversity and equity throughout her career and is a past Chair of the ACTU Women’s Committee, and past Member of the Ministerial Advisory Committee on Women’s Employment (Victoria) and the National Women’s Consultative Council. Mel started her career in superannuation in the ATO, moving to work with industry super funds in 2004. She has held roles in marketing, communications and relationship management at Link Group, HESTA, Hostplus, AUSfund, Industry Fund Services and ME Bank. Mel is passionate about focusing on delivering benefits to members, and female members in particular. Outside of super, Mel has been a member of the Mother's Day Classic organising committee in Melbourne for a number of years and is a director Too Young To Work, a charity that helps get children out of child labour in India. She also presents a radio show on community radio which focusses on 80s music. Mel also has an MBA from Deakin University. Nikki Brown is a Principal in Mercer’s Institutional Wealth business and focuses on client growth and business development across all client units. Prior to joining Mercer in January 2017, Nikki gained over 18 years of experience in institutional business development and relationship management, primarily advising on capital-raising strategies for private markets fund managers (private equity, private debt, infrastructure and agriculture). She worked for Shed Enterprises in Sydney, and prior to that spent over 10 years with MVision Private Equity Partners. She has also held roles with Merrill Lynch Investment Managers in London and began her career in operational and managerial positions within the cement, quarrying and gold mining industries in Australia and New Zealand, and has advised a number of small businesses, entrepreneurs and not-for-profit organisations on their funding strategies. Nikki joined the Women in Super NSW Committee in 2017 and became Deputy Chair at the start of 2018. It was Nikki’s interest in working with a group of strong and committed women, who share a common goal to improve women’s outcomes – and like to have fun while they’re doing it, that drove her to become part of Women in Super. Sandra is the Chief Executive Officer for Women in Super - a not-for-profit national organisation that organises networking and professional development opportunities for women employed in superannuation but also works with government, the superannuation sector, unions and service providers to advocate for better retirement outcomes for women. Sandra sits on a number of industry committees and contributes to the formation of policy ideas relating to improving women’s access to superannuation. Previously Sandra spent 18 years working for a number of international banks in senior manager roles. Sandra holds a Degree in International Marketing and Languages from Dublin City University and has undertaken further studies in economics and law at the Copenhagen Business School and King's College London. Robbie is the Group Executive – Brand, Advocacy, Marketing and Product at Cbus. She has worked for almost two decades in industry super including previously as Deputy Chief Executive at Industry Super Australia. She has extensive experience in marketing, brand, communications, strategic policy and advocacy, risk and compliance and financial advice. She is a current Non-Executive Director and chair of the Audit and Risk Committee at Victoria Legal Aid, and is also a Director of Women in Super and the Chair of WIS’ Policy Committee. Sue is currently the Investments Manager with AvSuper and has worked in superannuation and financial services for over 30 years across institutional, private equity, stockbroking,retail and private banking. In this current position Sue is responsible for oversight, control and monitoring the AvSuper Fund’s investments to achieve strategic investment and operational objectives. She advises the CEO and Investment committee on general investment issues and investment related developments, reports regularly to fund members on performance of the Fund and manages relationships with the fund’s investment consultants, managers and custodian. In her previous role as Senior Investments Operations Analyst within CSC, Sue managed the private equity portfolio, compliance and other operations within the Fund. Prior to the merger with CSC, Sue was the Investments Analyst for MilitarySuper. Sue was responsible for oversight, monitoring and reporting to the CEO and Board on investment related issues. Prior to MilitarySuper, Sue was employed by US firm, Wilshire Private Markets Group in Canberra reporting to the CEO on private equity operations. Sue was the previous volunteer Co-chair of the Canberra Mother’s Day Classic Committee (3 years) and volunteer committee member for the last 12 years and has completed Grad Dip of Fin Planning (Kaplan), Grad Dip applied Finance and Investment (Kaplan), Dip in Financial Markets (Equity Stream) (Securities Institute) and is a Certified Investment Management Analyst (CIMA, IMCA) and a Finsia Senior Associate. Katie Frazer is an Assistant Product Manager at UniSuper and the Deputy Chair of the Women in Super Victorian committee. Katie has worked in the superannuation industry for over 20 years, and has a strong belief in the profit to members philosophy. Her broad experience across a number of client and people management roles means she has extensive expertise at both operational and strategic levels. She enjoys working in roles that focus on ensuring the best retirement outcomes for members. Outside of super, Katie has experience serving on boards for not-for-profit organisations that are focussed on high quality and affordable early years education. She is currently a board member for GEKA Inc., having previously been the President for a local community based child care centre, as well as the President of her daughters local kindergarten. Katie holds a Diploma of Financial Services (Superannuation) and Diploma of Financial Planning. Sophie has worked in marketing and communications for over 15 years and holds a Masters of Marketing, Diploma of Advertising and Bachelor of Professional Writing and Communications. Over the past decade, Sophie has been managing marketing, communication and engagement activities for industry super funds NGS Super and most recently, Statewide Super. As a highly motivated and results-driven leader, passionate about improving the lives of others, Sophie also uses her skill-set in a voluntary capacity. She is presently a Director of Spence Club Inc. as well as being the Chair of the Women in Super SA Committee and has previously held leadership positions with the Mother’s Day Classic SA Committee and UN Women. Karen Lauf is the Chair of the National Audit, Risk and Compliance Committee of Women in Super, and an experienced senior finance manager bringing over two decades of experience in finance, risk, compliance and governance in both South Africa and Australia. Karen is passionate about achieving outcomes, and in particular about seeing women’s retirement outcomes improved. She joined EY in 2018 as a Director in Financial Services and was previously the Finance and Commercial Manager at AustralianSuper. Prior to this, Karen was the National Manager, Client Finance at Superpartners and following Link’s acquisition of the Superpartners business in late 2014 Karen led the finance team and clients through the significant and successful transition onto Link’s platforms. Karen has also worked at Deloitte Australia for a number of years as a Client Director. She was a member of the Deloitte Australia IFRS Centre of Excellence forming part of the Deloitte Global IFRS Leadership Team. Karen is a registered Chartered Accountant in both South Africa and Australia. Lata McNulty is the Chair of Women in Super NSW and is a Wealth Management Executive experienced in strategy, business management, governance, risk and compliance. Lata is currently a Director at RBC Investor and Treasury Services in the Global Client Coverage team. Previously, Lata was the Head of Compliance at Link Group, an ASX100 company. She has over 15 years’ experience in the wealth management industry and during her time at Link she was the Transition Risk Assurance partner across the largest transition program in the superannuation industry. Prior to her role at Link Group, Lata was a Principal Consultant at Sequential where she lead client engagements to implement strategic plans and initiatives covering regulatory and governance changes, product rationalisation, business integration and transformation initiatives. Lata holds a Degree in Commerce (Banking and Finance) from Canberra University and has undertaken further studies in superannuation, project and program management. Lata is a certified Prince2 practitioner and provides a balanced and proactive approach to strategy, governance, risk and compliance management. Lata recently joined the West Harbour Rugby Board, as a Special Advisor focussed on Community Engagement and Governance Advisory. The West Harbour Rugby Football Club is a team in the Shute Shield, the premier rugby union competition in New South Wales. Tasha is a senior commercial lawyer at DMAW Lawyers, specialising in superannuation law. She advises on the full range of superannuation-related matters for both large and small funds, including governance and compliance matters, trust deeds, outsourcing arrangements and claims handling. She has over 10 years’ experience working in this area of the law, and enjoys helping clients to navigate the ever-changing legislative and regulatory landscape. Tasha has been a member of the Women in Super SA Committee since 2012, and Deputy Chair since 2017. She is passionate about creating professional development, networking and leadership opportunities for women in the superannuation industry. Tasha holds a Bachelor of Laws and Legal Practice (First Class Honours) and Bachelor of International Studies from Flinders University. Teika is an Employer Relations Manager at StatePlus, specialising in member education and financial advice for the public sector. She has a strong background in both public and private superannuation, with her previous roles as Key Account Manager at leading organisations GESB and Asgard. She focuses on maintaining strong networks within the industry, with employers and with the community. Carmen is the Client Partnership Manager for HESTA in Tasmania, providing employers with information on superannuation and an awareness of HESTA’s products and services. With over 18 years’ experience in the financial services industry, Carmen has worked in the areas of superannuation administration, compliance, client services, relationship management, process improvement and financial planning. Carmen is passionate about superannuation and improving retirement outcomes for all Australians. Quyen is responsible for WA Super’s distribution strategy and managing the advice and business development teams. She joined WA Super in June 2017 and is highly qualified with extensive financial services experience having previously worked for ING, CBA, Colonial First State, ANZ and RI Advice. Quyen holds a Bachelor of Commerce in Financial Accounting and Corporate Finance from the University of Western Australia and a Graduate Diploma of Financial Planning from the Financial Services Institute of Australasia (FINSIA). With over 13 years of demonstrated experience in financial services locally, nationally and overseas, Quyen has worked along the financial distribution value chain, in various advice and product roles. This has given her a holistic view in driving outcomes towards helping members achieve their retirement dream. Quyen’s love of collaborating and growing people, teams and businesses has meant she has been recognised as a finalist in 2018 and 2013 Money Management's Women in Financial Services awards. She is passionate about helping the next generation of women looking to pursue a career in financial services, and believes in women being financially educated to ensure they are secure in their own financial well-being. Bianca is currently employed as the Manager, Business Growth for MLC’s Platform business in QLD. Having worked in financial services for over 23 years, Bianca has extensive experience in the superannuation industry, predominately in the areas of business development, product and administration. Bianca is a highly motivated and results driven sales leader and is passionate about supporting women employed in the financial services industry as well as the wider community through the work she does as the Chair of the Women in Super QLD Committee. She has also previously been actively involved with committees for Women of Westpac and her local junior AFL football club. Bianca holds a Diploma of Financial Services (Superannuation), Diploma of Financial Planning and is also enrolled in MBA (finance) studies.